Just over 400 items which together form the Gaelic Collections at New College Library have now been catalogued online and their details can now be browsed online using the shelfmark “Gaelic Coll.” This collection of monographs and pamphlets was put together from various sources, including thirty nine books from the bequest of the Rev. Roderick Macleod. A contender for the oddest item in New College Library’s Gaelic Collections are a series of works by Thomas Stratton trying to prove the Celtic source of Latin and Greek, including “Proofs of the Celtic origin of a great part of the Greek language”. 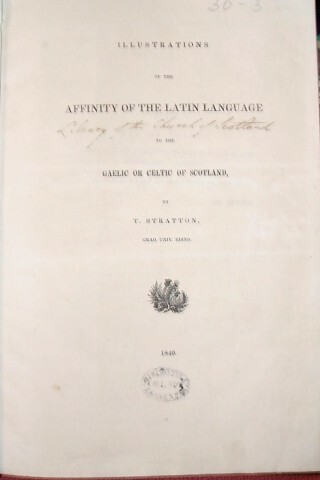 1840 ; Gaelic Coll 213 and “Illustrations of the affinity of the Latin language to the Gaelic or Celtic of Scotland”. 1840 Gaelic Coll 213. This copy has a handwritten inscription identifying it as previously belonging to the Library of the Church of Scotland. With thanks to Patrick Murray, our Gaelic Cataloguer, for supplying details of this item. 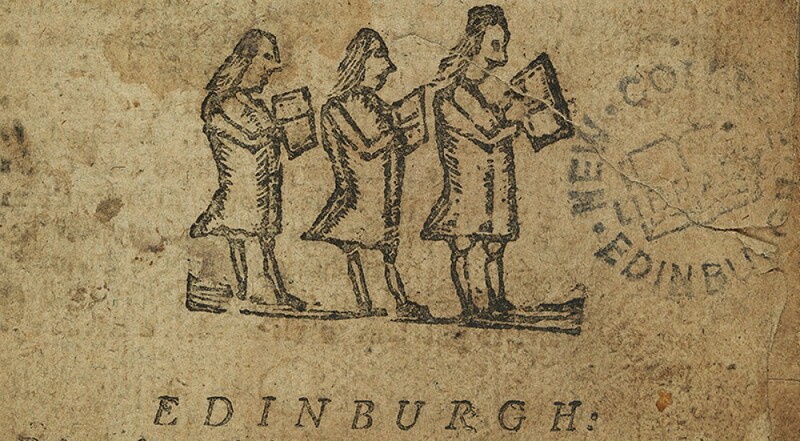 This entry was posted in Rare Books at New College Library and tagged Gaelic, Greek, Latin, new college library, nineteenth-century, rare books, Scotland by cloverodgers. Bookmark the permalink.